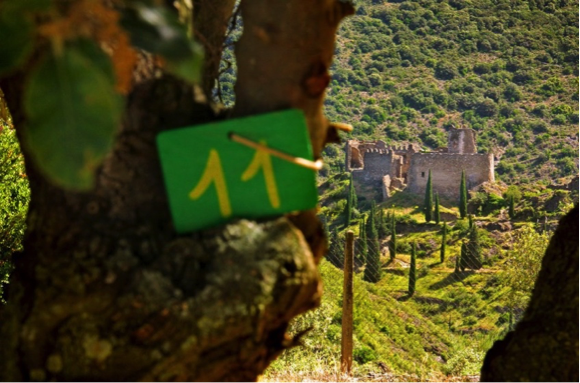 Our campsite, Camping Le Belvédère, overlooks the Cathar castles of Lastours which sit atop a rocky outcrop overlooking the small village of Lastours. It is located 20 km away from Carcassonne in the Aude Region in the South of France. 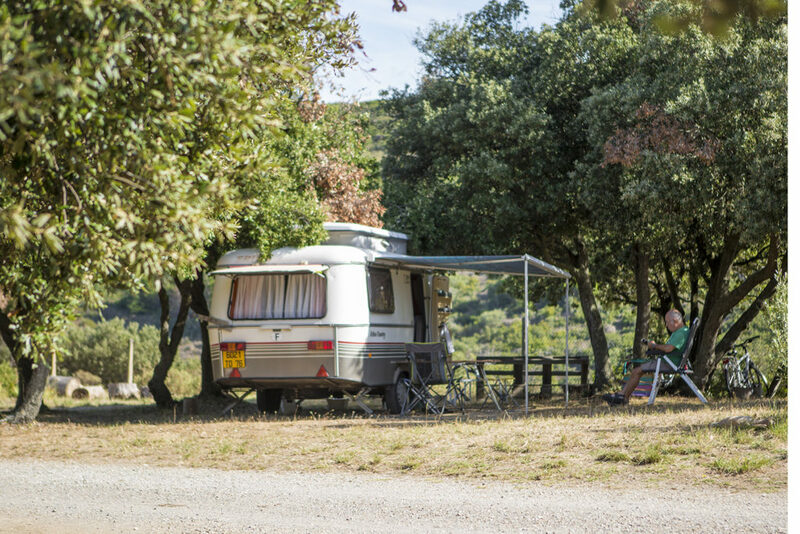 Surrounded by rolling green hills and vineyards, the campsite provides a peaceful and relaxing eco-tourism spot for campers and hikers. 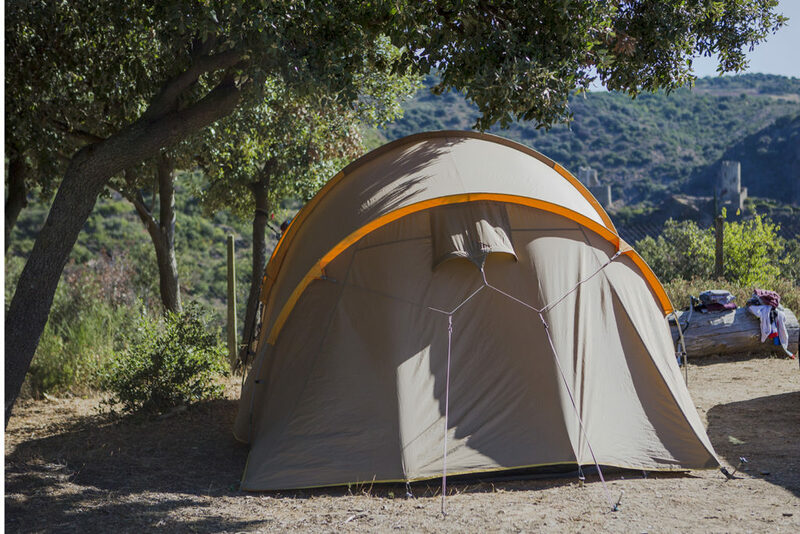 Our accommodation features a number of fully equipped mobile homes and specific places for tents. 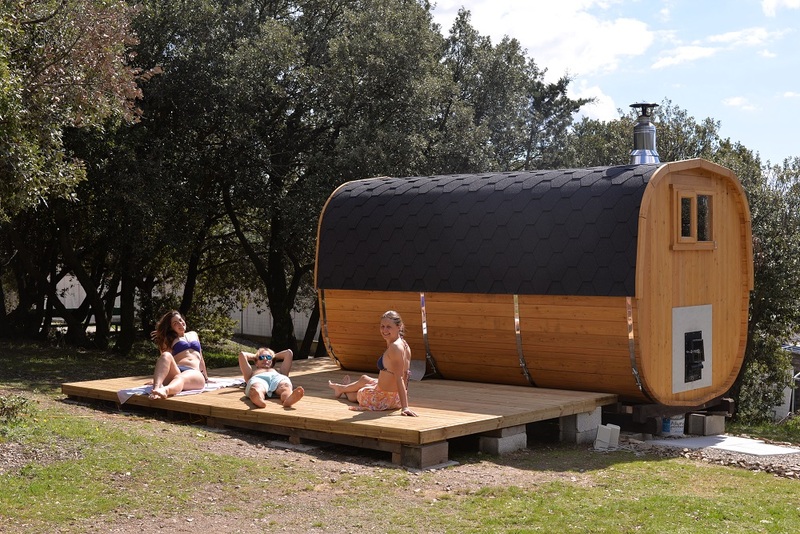 The campsite is one of the projects of the cooperative and is based on the principles of eco-tourism. We promote responsible travel, making sure that we minimize the impact of tourism to the environment while sustaining the well being of the local community. We try to reduce the impact of camping on the environment through promoting eco-friendly practices, recycling our waste, using natural waste for compost, reducing purchase of plastics, utilizing energy saving lighting, and only using eco-friendly cleaning products. The bathrooms are always cleaned with the use of ecological cleaning products. One bathroom is especially equipped for persons with reduced mobility and small children. Accessories for babies are also at our clients’ disposal (bathtub, changing table, toilet seat, etc.). 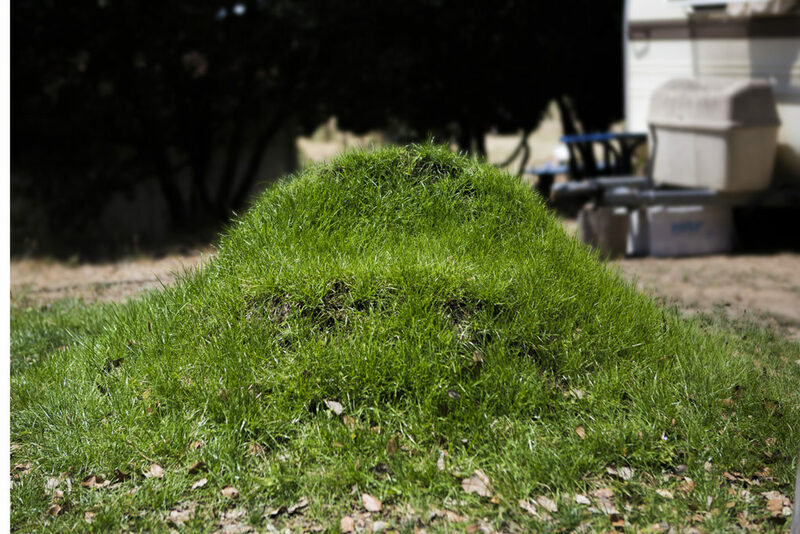 The campsite has it own website and has more information regarding the mobile homes, camping grounds, and location here.